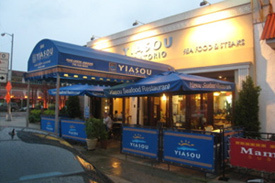 With the kitchen on full display for eager diners waiting to try the finest Greek cuisine in Sheepshead Bay, Yiasou Estiatorio stands out among regular chophouses along restaurant row. 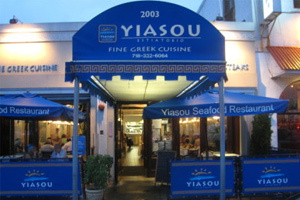 Try the melitzanosalata (roasted eggplant spread) appetizer with the Souvlaki Hirino Filet entree, grilled pork tenderloin with sauteed peppers, onions and mushrooms. 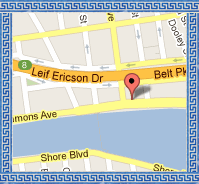 We are a family owned restaurant since 2005. Peter Katsichtis the owner has been in the business for over 40 years. 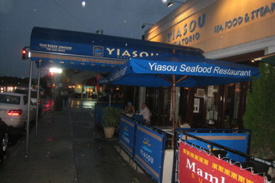 We are a Greek seafood restaurant but we mostly focus on the seafood. We have steaks and chops. We have a full bar. 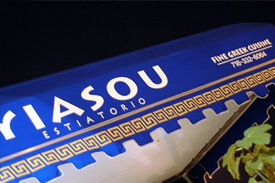 Great selection of wines from California to France and we specialize in our selection of Greek wines.